Originally blended for one of America's oldest tobacco shop...Ned's 5x60 is here and available for all to enjoy. If you like our other Cameroon blends, you will love this similar blend in a 5x60. A beautiful Cameroon wrapper filled with the finest filler tobacco and bound with a strong Cuban seed binder. Filler is our signature Piloto and Olor ligero, Seco Cubano. 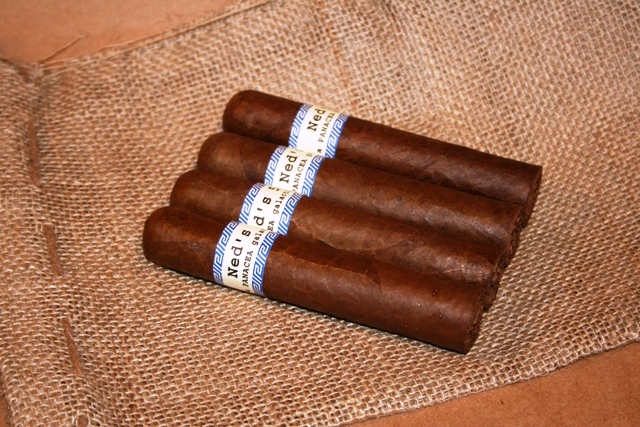 We have also added PA Broadleaf, and Nicaraguan Ligero to Ned's! You will love this blend. So, grab a 4 pack of Ned's 5x60 and enjoy! This is my favorite cigar to date, easily one of my new staples. I have always been a Maduro guy until I discovered this Cameroon. It is phenomenal cigar, smooth, creamy and complex, and the flavor consistent all the way through until the end. If you like cigars this one should be on your bucket list. I have only just started smoking blends from this company, and I have to say it is hard to stray away from this one.